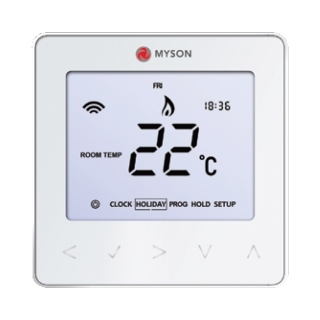 The ‘App’ controlled room thermostat uses its own hub, which means no requirement for a fixed ip address or Dynamic DNS service provider is required, making the initial set up simple. The app allows you to control & view your heating from any location via your smart phone or tablet. 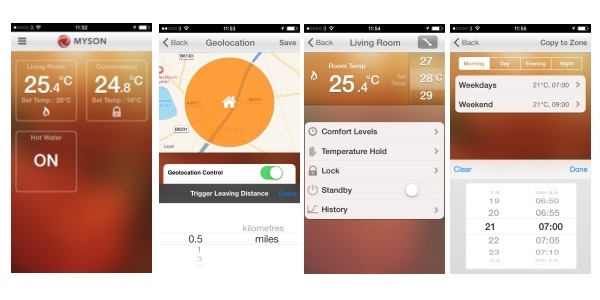 In addition the Geo Location feature will turn your heating off or down when you leave home & back on or up when you return. The distance that triggers the heating can be set by you and referred to as the ‘target distance’. The ‘Geo Location’ is smart, so it can easily cope with multi occupancy (smart phones) of any home by means of ‘personalised area zones’ (target distances). The Touch2 WiFi uses Smart Start technology; this will ensure that you are warm enough, whilst saving you both energy & money, by delaying the heating ‘start up’ time when the weather is warmer. It has many features to ensure that you have control, including 24 hour, 5/2 day or 7 day programming, and up to 4 time and temperature period settings per day. Temperature over-ride, temperature hold and holiday functions. If required the thermostat is lockable, with PIN code protection. 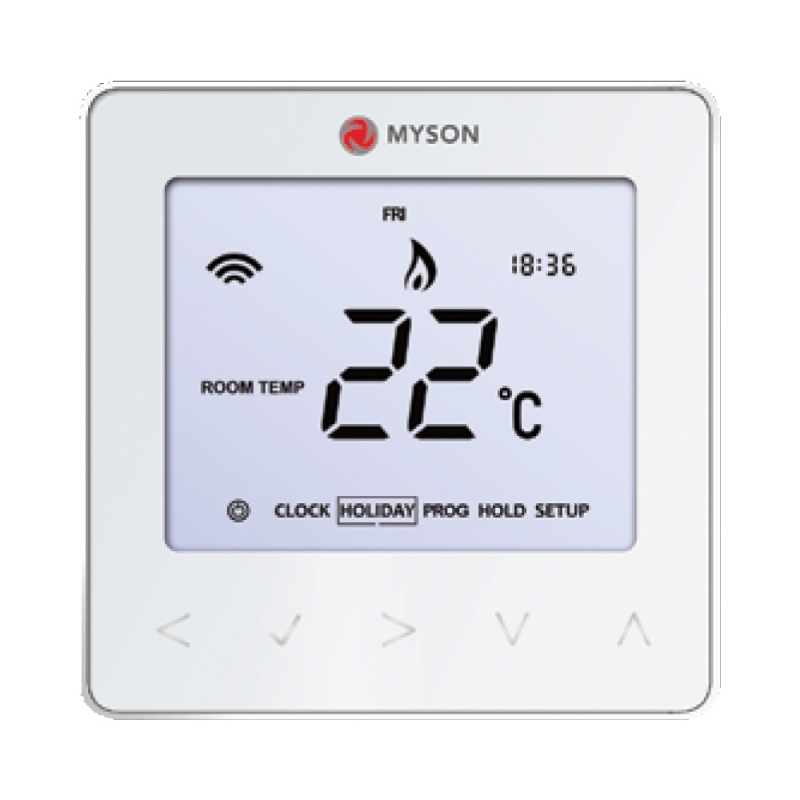 The Touch2 WiFi thermostats uses mesh communication for multi zone control, this will help eliminate issues with poor broadband coverage within larger properties. Please note: the minimum system requirement is one T2AHWIFI (Touch 2 WiFi thermostat and a Hub), with up to a maximum of 31 additional WiFi thermostats (T2WIFI), one of which can set to control your hot water.